TORONTO - Groups of students huddle around desks at a university campus as the instructor gives out a quick overview of the job at hand: build a crane, create an electromagnet and pick up metal. Work begins in earnest with some of the students building their contraptions with wheels "for better transportation" while others build them for strength. But these are not university students. They are Grade 3 and Grade 4 students — about half of them girls — who like to spend a few hours on the weekend building "stuff" and learning about science. "I've been building stuff a long time," says eight-year-old Yashu Tenneti. "In our school we're building bridges out of Popsicle sticks." Does she want to be an engineer or scientist when she grows up? "I don't know. I want to be many things," she says. The class is part of an outreach program at the University of Toronto designed to help break gender, financial and racial barriers. The university hopes girls like Yashu will eventually enter an engineering program. Many other universities across the country offer similar programs to encourage women to get into the fields of science, technology, engineering and math. York University, for example, runs all-girl courses that teach science through superheroes. Later this week, the university is expected to launch the Lassonde 50:50 Challenge — an initiative that aims to achieve an equal gender-split enrolment at its Lassonde engineering school. The gender divide in professions such as engineering and computer sciences is a startling problem in Canada. According to Engineers Canada, about 88 per cent of engineers are men. Those numbers are slowly changing because of programs such as these, according to Jennifer Flanagan, the CEO of Actua — an Ottawa-based charity that promotes science to children, especially girls. "They can experiment, tinker and that kind of environment is really conducive to boosting their confidence," Flanagan said of the programs, which include all-girl science classes. They have been around for two decades, she said, but they've become more popular in recent years. 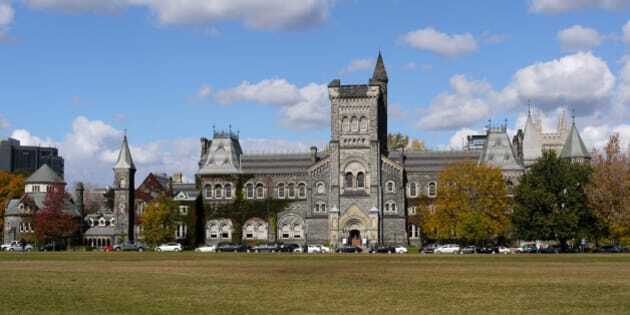 Last September, the first-year undergraduate engineering class at the University of Toronto saw 365 women, a 25 per cent increase from the year before. At the University of British Columbia, 29 per cent of its first-year engineering students this year are women, a 61-per-cent jump from 2010. Progress, however, is slow. A report from Engineers Canada shows just 18.3 per cent of undergraduate engineering degrees were awarded to women across the country in 2013, up slightly from 17.6 per cent in 2009. While the program where the kids were building cranes was coed, the University of Toronto offers all-girl classes, which have become quite popular, according to Dawn Britton, who is part of the school's engineering outreach office. The university also offers summer and March break camps as well as weekend science classes for girls. The goal, Britton said, is to get girls interested in science at a young age, starting at eight years old. At the University of Waterloo, programs begin for girls as young as six. Flanagan said her organization's research shows girls start losing interest in sciences when they reach Garde 9, when they have to start preparing for their future. Most university science programs require applicants to have taken advanced math and science courses in high school. "If they don't take physics and advanced math classes in high school, then it's already too late," Flanagan said. Parents are a big part of the gender divide problem, Flanagan said, because they often try to influence their children's career choices based on stereotypes. "They are projecting a false understanding of what those careers are on their daughters and not their sons," she said. So at the Actua programs, which are offered at 33 universities in Canada, they give pamphlets to the parents to help dispel those myths. Ray Jayawardhana, the dean of the faculty of science at York University, agreed. The under-representation of women highlights the larger issue barriers blocking entry into science. "There is a growing body of evidence that kids don't choose what they would do when they grow up very early, but they seem to rule out what they might not do very early," said Jayawardhana, 43, adding that he was just a boy when he decided to become an astronomer. "I grew up in Sri Lanka and I'm an astronomer and there is not a single astronomer to date in Sri Lanka — a country of 20 million people. So the idea that when you're growing up you can do science or astronomy when no one else is doing it is difficult. It takes a leap into the unknown to think that," he said. "Our hope is to keep careers in science, engineering and technology in the mix." Back at the University of Toronto, the children's science course instructor, Michaela Tai, explains the dangers of incorrectly connecting a circuit. "You do not want to do that," she says. "You do not want a short circuit." About 30 minutes later, one child screams "Smoke! It's smoking!" There is no visible smoke, but it is a short circuit. So the children quickly make another one. Tai, a second-year industrial engineering student, uses the mishap to explain to the kids that failure is an important part of science. Fixing those failures builds confidence, she says, something many girls lack early on. But that changes quickly with experience — experience that is gained at programs such as these. "I tell the girls, look how well you're doing now," Tai says. "You can ask questions, don't be afraid, and don't be afraid to explore new things."